Around the city of Montreal, refurbished shipping containers serve as seasonal “parklets,” or mini transportable parks with seating, lush boxes of greenery and wide open windows. Pedestrians can escape into these pop-up spaces to rest while experiencing the passing cityscape, according to Pop-Up City. In a wintery northern city like Montreal, where it’s only warm enough to sit outside a few months out of the year, parklets are a practical and cost-effective option. During the colder months, they can be removed and the space can be used for parking. Boxpark in London leases its location to retailers for three to 12 months. Parklets aren’t the only innovative use for shipping containers in urban spaces. Boxpark, a pop-up mall located in London’s East End, is comprised entirely of revamped shipping containers. 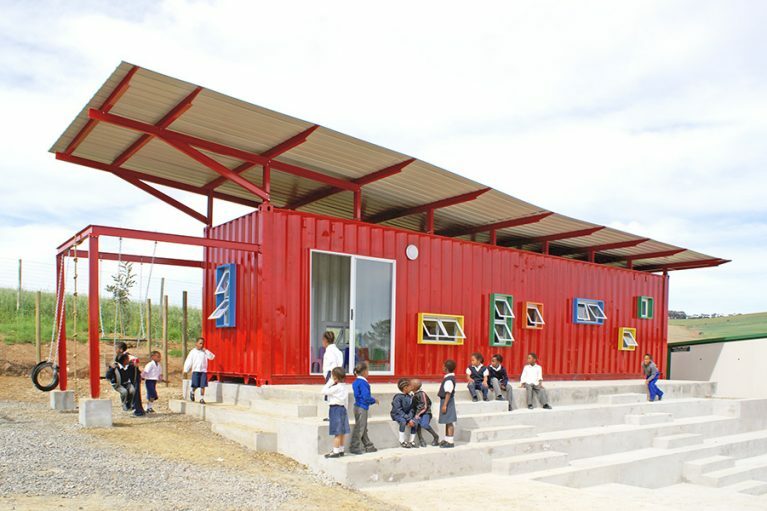 Schools have been built entirely out of shipping containers in both Cape Town and London. In Los Angeles, film producers Ridley Scott and his late brother Tony commissioned an air-conditioned nomadic movie vestibule that seats up to 18. While repurposing shipping containers isn’t new, their uses in urban spaces have reached the mainstream in architecture and design. David Campbell, CEO of Boxman Studios, which modifies shipping containers for clients that include Facebook and Samsung, has been in the business for eight years and has noted an uptick in business over the last four years. Much of the shipping cargo’s appeal, he says, is the brevity of building time and the speed of projects to market. But also, there is the metaphysical side, he points out: building a point of activity and community within an urban environment—like the mobile beer garden he’d been commissioned to do in Boston—and then moving it to another spot when the time calls for it. Here are four more imaginative ways that shipping containers have transformed cityscapes. 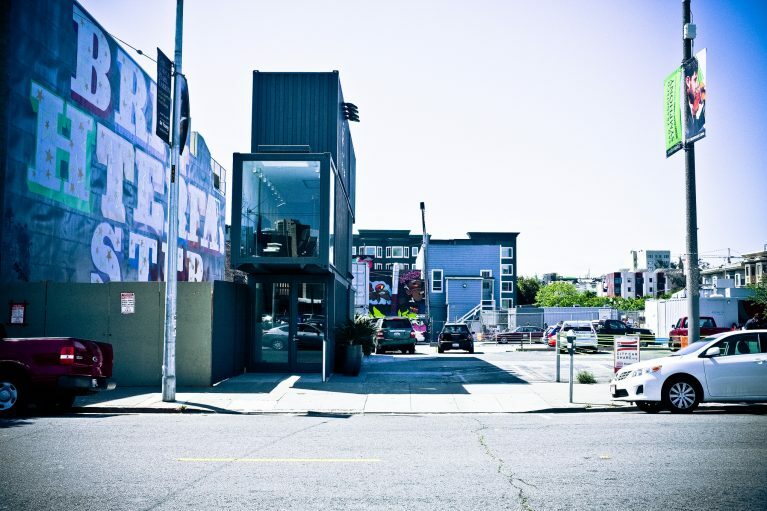 Proxy, in San Francisco, Calif., is comprised of 12 shipping containers that occupy two blocks, creating a nest of businesses from art galleries to ice cream parlors. 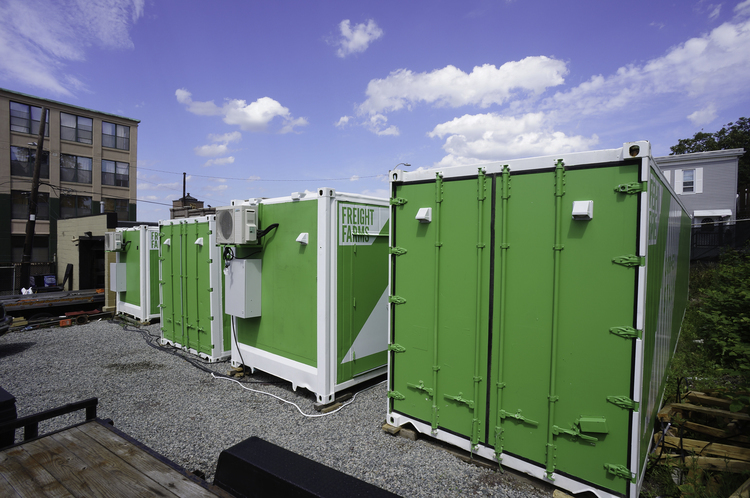 Freight Farms, in Boston, Mass., provides shipping containers that can be used to grow vegetation year-round. They serve 85 farms across North America, including Corner Stalk Farm. 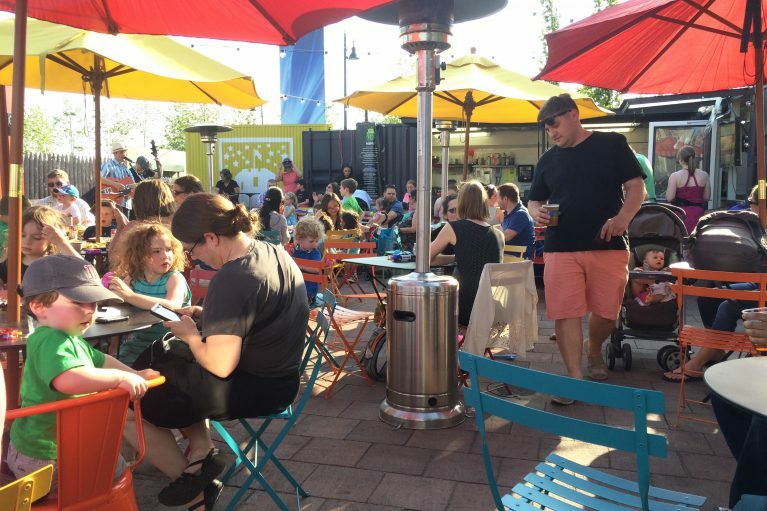 American Fresh Taproom in Somerville, Mass., is a beer garden by Boxman Studios built entirely out of shipping containers that can be disassembled and relocated.